Pascal currently leads two different ensembles: The AfroJazz Sextet (guitar, Kora, piano, upright bass, drums and West African percussion) and World Band (guitar, fiddle, banjo and two West African percussionists). 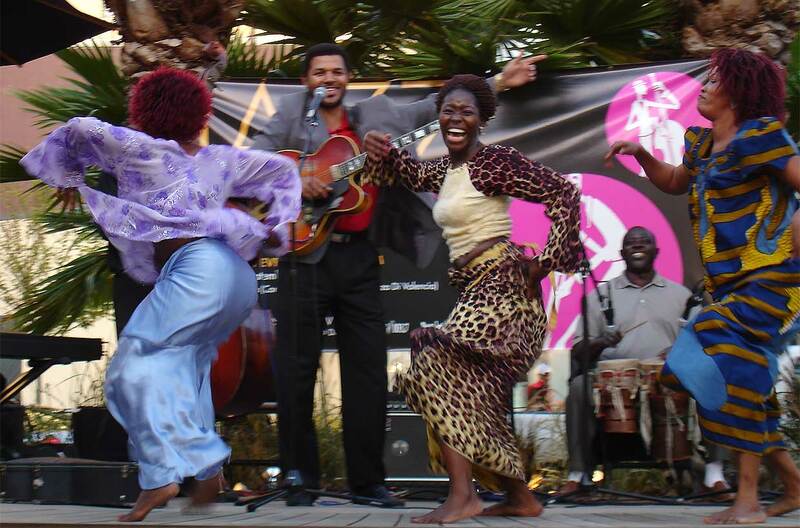 Traditional African dancers are available to perform with both ensembles. Pascal’s ensembles have played in concerts and festivals in the U.S. and internationally, and are currently seeking engagements for performances, seminars, master classes and residencies. For bookings, please fill out this form or contact Barbara Collin, CollinArtists@gmail.com, 323-467-4702.